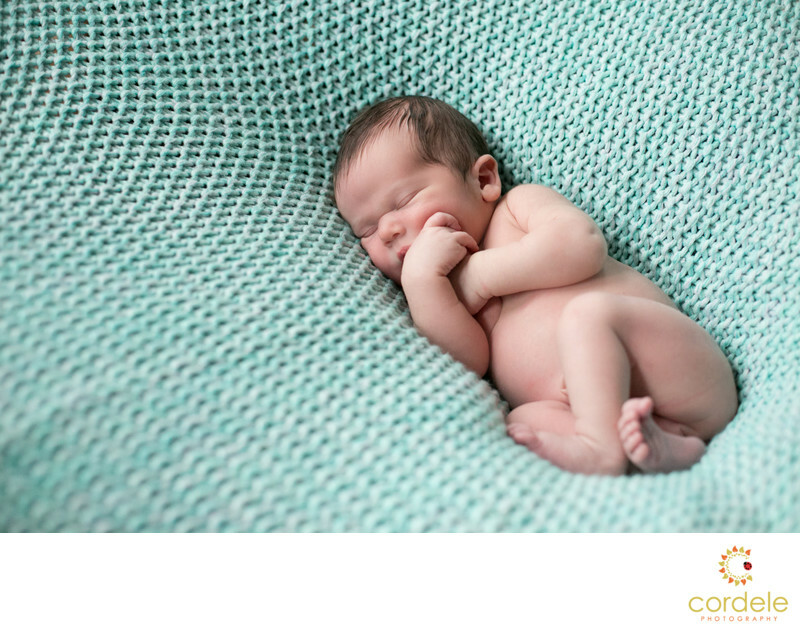 A newborn baby sleeps on a blanket by the window having his first set of photos taken. It was tough getting this little guy to sleep but once he was asleep it was an easy shoot! The little boy has two brothers who we were able to get to hold the baby and get some nice posed family shots. Something I love to do so that in years to come you will have memories to pass down to future generations.